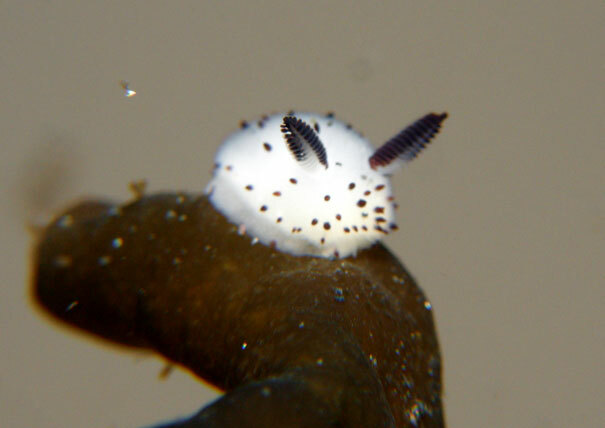 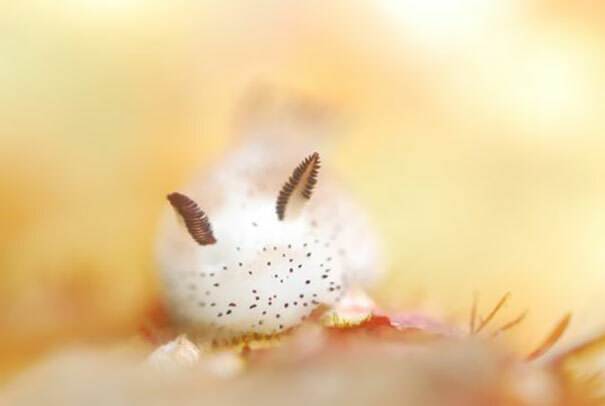 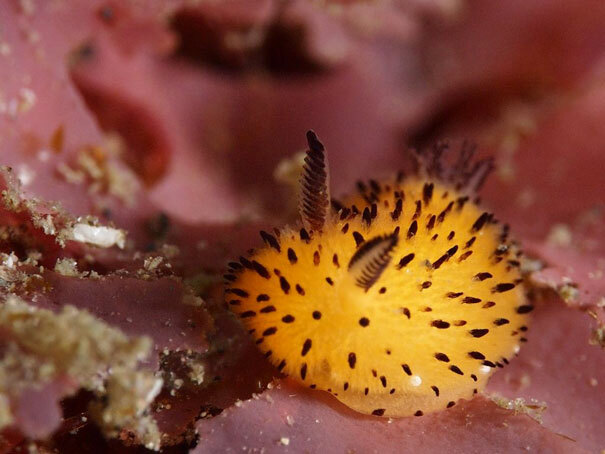 This little sea slug’s bunny ears are actually rhinophores, or chemosensory organs that help them detect chemicals in the water and also sense changes in currents. 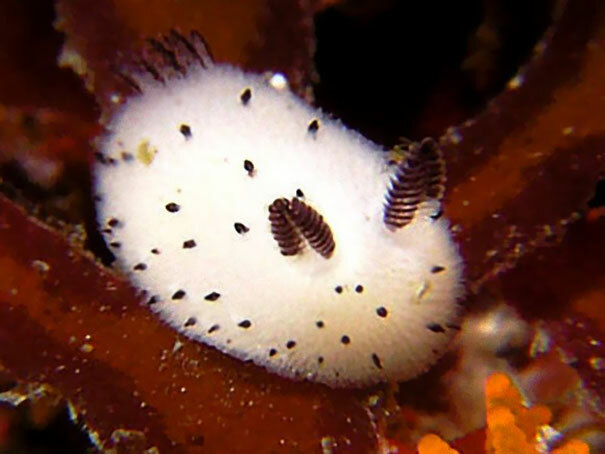 And its tiny ‘fluffy’ bunny body (less than 1 inch) is actually covered in caryophyllidia – sensory tubercles, surrounded by tiny needle-like structures called spicules. 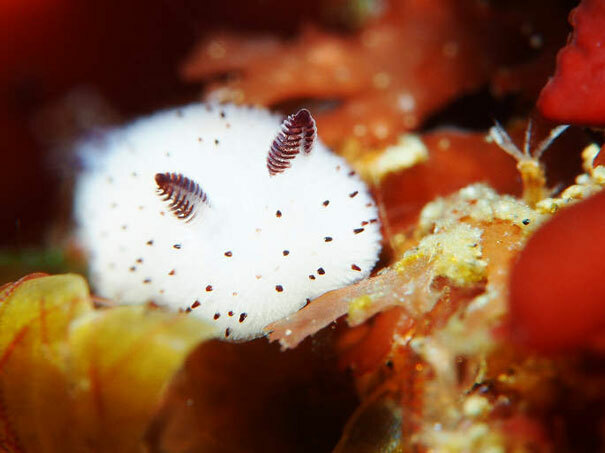 Jorunna parva belongs to a group of soft-bodied, marine mollusks called nudibranchs. 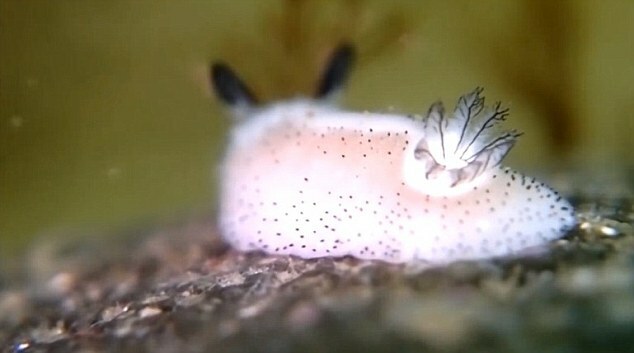 They are found along the coast of Japan, but have also been spotted in the Indian Ocean and around the Philippines.